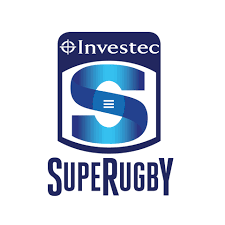 The final round of Investec Super Rugby before the Steinlager Series kicks off in just a few hours and it’s one not to miss. With two local derbies and an early kick off in Auckland, rugby fans across the country will be treated to the best sporting action on offer. It begins this evening with the Highlanders hosting the Hurricanes under the roof at Forsyth Barr Stadium. It will be game full of exciting match ups and Hurricanes captain Brad Shields will run out for his 100th appearance for the club. For those heading along to the match, kids will get a free goodie bag as part of the Highlanders’ Take A Kid to Footy promotion as the home team eye a victory to keep them in the hunt for play offs. The Hurricanes will be hoping to upset the party as a win for the team from the Capital will keep their hopes of a top-of-the-table finish alive. The Blues take on the Rebels at Eden Park with an early kick off time of 5.15pm on Saturday. The last time these teams met, the Blues ran in seven tries, including a Rieko Ioane hat-trick. The Blues will be looking to secure their first win at home this season and if they are to deny the Rebels competition points it will be to the benefit of their fellow kiwi teams still in the playoff race. Eden Park will be turned into a spud market tomorrow with Blues sponsors Bhana Family Farms giving away seven tonnes of potatoes at the end of the match. 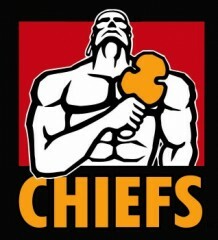 Down State Highway One in Hamilton, the Chiefs host the table-topping Crusaders in what is being dubbed ‘A Right Royal Clash’. While the Crusaders are assured of their spot in the play-offs they will be after the win to hold off the Hurricanes who are chasing them for the number one position. The Chiefs, currently fifth on the points table, have a number of teams hot on their heels in the play-off race so every competition point will be crucial. Kids that head along to FMG Stadium Waikato will be treat to Chiefs Kids Park and access to the Funzone. As part of the Super Rugby clubs efforts to encourage people to have a go at pronouncing names correctly, all teams have released a phonetic guide with player names, as part of the #saymyname round. The aim of the week is for everyone to have a crack at pronouncing names correctly, and players have got on board with a number of videos released across the clubs this week.